If this post is valuable to you and you would like to help to ensure the continuation of this journal please consider becoming one of my patrons. Upon first opening the box of Libra the eyes are greeted with a shining golden light, for inside sit a pair of ancient world market scales polished to aesthetic perfection. They are simple and unadorned but this simplicity, like their loving polish, is its own beauty. Unlike the other thrones of the zodiac, what leaps out is not a breathing animal or creature of myth but instead an object. Next to this lie other equally beautiful and artfully formed objects – a sublimely soft ostrich feather, an ornately carved spirit level, a silk blindfold, a quill, an ornate hand mirror, a spinning gyroscope, a pair of interlinked rings elegantly inscribed with an ancient script and a piercingly sharp sword with an emerald hilt. The mystery of what connects these objects together leads us further into the box where we come to understand the significance behind them, and the living truth hiding in the bottom, beneath the symbols that are its body and appendages. For there is indeed a living breathing animal dwelling in the depths of the sign, but to truly find it we will need not only to understand the magic of the Air Element, but also the more mysterious enchantment of Venus, we will need to strike a perfect balance between these two things and we will need to overcome our intellectual prejudices and our human biases in order to even perceive it. In modern astrology Libra is perhaps the most virtuously portrayed of the signs, with most of its negative and destructive qualities being of a soft and Venusian nature. It’s important to understand however that these softer and often more socially polite vices can be just as devastating and destructive as the more recognizable and dramatic problems of (for example) Aries and Scorpio. Ask any Libra person just how problematic some of these issues can be and they will eagerly explain how they have impacted their lives. They just do so in a way which is more seductive and pleasing to those around us, factors which make it that much harder to transform them. While it is by no means exhaustive the two columns below represent some of the more common manifestations of Libra in the human character. They are signposts and guides, not definitive or comprehensive facts. As I said before in previous articles note that these qualities are not opposites of one another like night and day, they are instead examples of how Libran qualities can manifest on a continuum of extremes. The opposite of being lonely is not ‘being cooperative’ – the undesirable result of ‘lonely’ is instead what we feel as a result of not being able to be cooperative at all, or cooperating with everyone and thus becoming untrustworthy when a dispute or difference emerges. ‘Moderate’ when taken to its extreme leads us to become negatively ‘uninvolved’. It is the stretching of a quality to its extreme which causes it to venture into its own negative territory. This is because the universe is fundamentally interconnected as a singular thing which encompasses all polarities and divisions and so any one thing exists alongside an equal and opposite partner which is its ever present and equally true shadow. Libra is The Balancer, perpetually engaged in a restoration of order to the scales of life. Ones greatest strength is invariably ones greatest weakness – everything depends on the context. More than any other lesson or truth, this is what Libra knows – any notion or idea, no matter how logical, valid or legal, not only has equal and opposite partners but actually becomes its opposites when taken to its extreme, like day into night and night into day. There isn’t any clear moment when this happens – there is instead a transition period of dusk or dawn – but the differences between one side and another are obvious. The end result of too much narcissism is in getting lessons that teach you about seeking real and genuine beauty in life and the end result of seeking beauty exclusively is a venture into narcissism. When you get to the end point of what makes you feel you are indecisive you have discovered a lot about being fair, but being excessively attached to being fair leads round to indecisive again. The rings are looped. The place of balance between the two is thus the refuge in which clear and fair choices and notions emerge, but more importantly it is the place of calm that is not torn between polarities, the point of equipoise in which grace and truth can flow. So, to watch the stars shining for brief minutes at dawn, to be the dusky mist hovering between activity and rest, earth and sky – this is the territory of Libra. Finding this ever shifting zone of twilight is much easier said than done, as we shall see. The lore of a sign is intimately connected to the constellation of stars which share its name, even though they are not the same thing. In the case of Libra we have an interesting and unique situation to consider and one which helps us to understand the nature of Libra, as the story of these stars through time aptly symbolises the essential nature involved. First, it is frequently said that the constellation of Libra came about at some point during the Roman era. It is not clearly known if this was the work of a single individual or something which occurred over a period of time but at some stage in this period of history the notion that the stars were a pair of scales connected to a goddess of Justice established firm roots in western astrology. Before this time the scales are often referred to as the claws of the scorpion, Scorpius. Note that I said ‘often’ – there is a commonly held misconception that the Romans “invented” the scales of Libra as a concept when in fact the reality is that they had already been known as, referred to or connected with scales and the concept of cosmic truth for thousands of years before then. We see this in the astrology practiced in ancient Mesopotamia, Egypt and India and in rare cases in the time of the Greeks. It seems more accurate to say that the Romans formalized a much more ancient tradition in their own way, as was there cultural practice with many of the things that appeal to them. The Romans associated these stars with their goddess of Justice, Justicia, who often appeared with her sister Prudentia (Prudence). These deities were based on the Greek equivalents Astraea, Themis and Dike, who in turn were probably based on or shared a common origin with the Egyptian goddesses, Ma’at and Isis (in ancient Egypt the stars of Libra are formed into a boat, the vessel which delivers the soul to the judgment of Osiris, or as a scale beam, representing the magic technology which tracked the level of the Nile). Well before the time of the Romans this part of the sky was associated with the idea of light or a lamp representing the Assyrian God Nusku, a god of fire and light believed to inhabit the stars. From what we know of the Assyrian people, which is extremely fragmentary, the closest analogy we have is probably a mix of two deities, Shamash (god of truth and justice who holds the scales as a sacred symbol) and Nusku (god of light and patron of the arts and civilization). Rome largely reduces these mostly feminine figures to objects, but retains the feminine figure wielding them – a sword of truth, scales of justice and balance, philosophical robes and a blindfold to signify not blindness but an inner eye with the ability to see the truth behind appearances, the truth within. So in an earlier time the Scorpion either held the scales in its claws or the claws were themselves the scales by which things were measured. To understand this connection you must consider the way a scorpion uses its own claws to investigate things and peel them apart. The connection with the Scorpion is deeply significant in terms of the understanding of Libra because it also shows that the sign has a connection in ancient thought to the mysteries of death, the afterlife and the judgment of the soul that is to come for all of us. 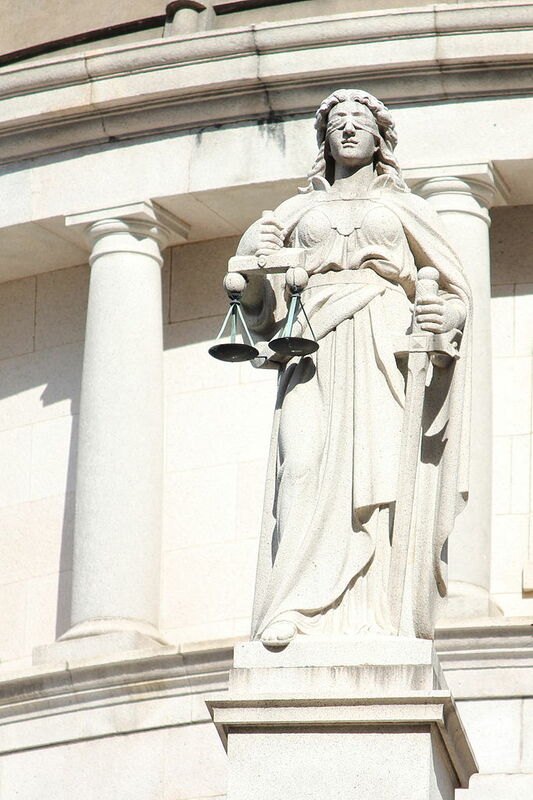 In more ancient cultures the concept of justice and truth was connected to this, but by the Roman era this concept has become distinct and separate all of its own and this is the period in which our modern legal structures emerged, institutions which are dedicated to seeing that justice is done. Faith had withered and systems were perceived to be necessary in order to see that the will of the gods was done upon the Earth. In this respect it’s interesting to note that the Romans also tell a tale about Astraea being the last of the gods to leave the Earth following the disappointment heaped upon them by the actions of humanity. This is an important point to understand if you are a Libra – it’s the Romans that made you responsible for seeing that justice is done! Before that time, the role of Libra was a spiritual one focused on revealing truth through an understanding of cosmic laws. Justicia, Astraea, Dike, Themis, Isis and Ma’at are all associated with a pair of scales, but in ancient times the celestial form of these goddesses was often more represented by the constellation of Virgo (a powerful, wise woman). So what we can understand from this is that the constellation of Virgo was mythologically associated with scales many thousands of years before the Roman period, and that during the Roman period there was a conflation of different deities into a more homogeneous one. Part of this was that there was not just a conversion of the spiritual claws of Scorpius into the more mundane scales of Libra, there was also a borrowing of the scales from the concept associated with the constellation of Virgo. In effect, Libra’s creation borrowed something from each of its neighbours – claws from Scorpius and a pair of scales from Virgo – and its essential nature is a balanced and equal infusion of both halves. This balanced fusion of qualities from each of its neighbors encapsulates not just its stellar nature but also it’s zodiacal nature. Libra the balancer is the sign of equality and even splits, the pioneer of the Air Element and its aspiration for total neutrality. It is an Active (Cardinal) Air sign and the Electric expression of Venus and it symbolises a creative astra-mental process which leads to balance and harmonisation on the astral (i.e. personal) level of experience. It is among all the Air signs the most Neutrally charged (referring to the Fluids) because it seeks to find the middle ground between all couples and pairs of things, but behind the cool and often calm exterior there is an emotional heart, as sensitive as a Stradivaris violin and easily offended and upset, merely pretending to be indifferent to matters. Libra maintains composure in us. It’s what we need when our day goes down in flames because there was no coffee that morning, the car window is fucked and we can’t afford to pay for it, we lost our house keys and the police have just stopped to hassle us. Wherever it falls in a chart (check the temples) and whatever planet it processes it is much harder to fluster us there, and there is a greater spirit of compromise, tact, poise, serenity and equanimity, but problems of nervousness and extreme indecision arise from taking too Airy an attitude and not paying enough heed (or the wrong kind of heed) to the whispering song of Venus in the wind – the feelings. It implies a subtle but divisive distrust of feelings (because being subjective they lack a balanced objectivity on judging what is factual and therefore true) when the feelings are in fact a source of strength that need to be trusted because the feelings are just as much a vehicle of truth as the facts are, they just communicate another equally important side of it. We understand and possibly even pardon it when a person being tortured kills their tormentor. We do not understand it when they kill out of boredom or fun. What people feel as they act places judgment of their actions and of facts in context. Sunder one from the other and you no longer have justice. So there are two equal sides here too, one concerned with keeping a level head, the other concerned with discerning what people feel about things, and the two must work in tandem without interfering with one another for the scales to balance properly. It is true for personal relationships and it is the same in the law courts which are almost everywhere adorned with the symbols of this signs essential meaning. You are Air, dear Libra, but your heart is Venusian and it is beautiful and trustworthy. Embrace it. There is spiritual equipoise there, not chaos. The typical approach of a Libran planet is to be fair and balanced taking into consideration the thoughts and feelings of others with a view to exploring and embodying principles of balance, justice and harmony. It tries to remain calm and tranquil at all times. This is a big reason why Mars is kind of chained up by love here. Libra needs to acquire the ability to be assertive and make firmer decisions, avoiding procrastination and fence sitting in its desire to be fair and impartial. It is an Air sign and thus naturally attuned to mental levels of awareness so it will tend to approach things with a view to the ideas and thoughts that it conjures, in particular weighing things up as if evaluating their measure on a pair of scales. This polarity of thought, a division between one thing and another, is always viewed from the perspective of bringing together into harmony, of similarity and degree of balance. It is a romantic and just perspective that seeks to give everything its proper place and consideration. However, looking at life this way can lead to doubt and confusion about decisions that seem pressing or serious, since there is a sense of no turning back with dire consequences in such cases, and Libra is in love with turning back or at least being able to turn back, and shrivels from visiting dire consequences on anybody even in a polite and socially acceptable form such as a competitive game. The Libran in us does not want to do anything to others that we would not want done to ourselves, and so it is often timid in acting at all. A time inevitably comes to act, and this exposes the Libran Achilles heel. Mistakes or poor decisions are felt as miscarriages of justice since the Libran outlook is to be as impartial, diplomatic and fair as possible. The thought of a ‘wrong’ decision is often enough to paralyze the entire personality into inactivity, which can ironically be worse than either choice before it. Even with a ‘right’ decision (you went right in Firetop Mountain and missed the deathtrap! ), Libra is still haunted by the equal potential of the other choice (“what was the deathrap guarding, what was at the end of the left corridor?”), and with severe moral dilemmas it often seems to have no option but to pretend to itself that there was no choice. And so often the Libran dance is a graceful but dizzying waltz from yes to no and back again, with no end in sight until something acts upon the paralysis to cause a definitive and long dreaded choice to be made, often at a time where it feels like the worst time to make the choice. It is, because the right time to choose was long before it reaches that point. Connection to Libra often also brings involvement in the arts, in music especially, but also to all forms of expressing aesthetic beauty or feelings, such as cosmetics, marriage guidance, or care work. This is the influence of the signs planetary ruler. Ruled by Venus, Libra is the equalising aspect of Air and is appropriately even-handed, charming, harmonious, artistic, tactful, balancing, gentle, diplomatic, and possessing an integral and strong sense of fairness. It can be over- compromising, indecisive, appeasing, pleasure seeking, judgmental, and too inclined to sit in the middle ground doing nothing, just sitting on the fence between two sides. It relates to the sacrum chakra (as attention to ones self, relationships based on sensuality, creativity), and to the heart centre (as loving contact, balanced force bringing circulation of energy, and harmonization). In the body it resonates with the buttocks, kidneys, adrenals, ovaries, fallopian tubes, urinary system, excretion through skin and skin tone, lumbar vertebrae and the circulatory system (what goes around comes around). In colour it is typically pale, pastel and subtle in tone and has analogies to yellow, orange, olive green and black/white combos, among others. Its astrological direction is due west, its season in the northern hemisphere is autumn, its musical tone is F and its places include bridges, arches, portals, pillars, art museums, cultural centres, quiet places like libraries, all places where there is an airy, light, open and spacious atmosphere so that the air is crisp and clear, thus to mountains and places where the activating power of the wind is harnessed like windmill farms, as well as being traditionally linked to places where wood is cut or stored such as barns or outhouses. Indoors it points to places near windows, chambers and rooms within rooms (such as walk in wardrobes or larders in a kitchen), the upper rooms and the air conditioning or ventilation ducts, dressing tables, mirrors and cosy sofas for two. Libra also connects on the Hebrew Tree to the Hebrew letter Lamed (meaning ‘Ox-goad’ or more profoundly ‘instruction’), the 20th Path of Wisdom (the ‘consciousness of Will’) and the magic of Justice (major arcana of the tarot, depicting the magic of illuminating and transforming the emotional nature through the light of the Individual will, the ‘consciousness of Will’), also with all flowing or gentle music, a light easy feeling, alchemical sublimation (the transition of a substance directly from the solid to the gas state without passing through an intermediate liquid phase) and beautiful works of art. In mundane astrology it is connected with the Sun sign in the current charts for Cambodia (1993), New Zealand (1907), North Yemen (1962), Botswana (1966), Tuvalu (1978), Belgium (1830), Fiji (1970), Uganda (1962) and Lesotho (1966). Well known individuals with strong Libra in their astrology include Arthur Rimbaud (Sun, Moon and ascendant), Louis XIII of France (Sun and Moon), Jimmy Carter (Sun and ascendant), Derek Jacobi, Lech Walesa, Bruce Springsteen (Sun and Moon), T.S. Eliot (Sun and ascendant), Leonardo DiCaprio (Moon and ascendant), Rudolph Valentino (Moon and ascendant), Karen Silkwood (Moon and ascendant), Elizabeth Barret Browning (Moon), Emily Dickinson (Moon), Nikola Tesla (Moon), Henri Toulouse-Lautrec (Moon), Bertrand Russell (Moon), H.P. Lovecraft (Moon), Agathie Christie (Moon), Walt Disney (Moon) and Justin Bieber (Moon). Charming, artful, reconciliatory and serene, Libra is perhaps the most composed sign of the zodiac – whereas its opposite partner, Aries, concerns itself with raising a ruckus in order to get things started, Libra is about calming things down so that creative power can emerge through cooperating in harmony. It is very concerned with how the personality is perceived by others and seeks to be involved in relationship or partnership for maximum self expression of being and life – it is itself one half of something and so it seeks completion and wholeness. Thus, it is prone to feel the touch of loneliness and isolation that much more acutely than other signs and to agree when it really thinks that it does not, for the sake of peace. Emotions as I have indicated are usually a source of confusion because they muck up the delicate balance of the scales, the mind which weighs everything in the balance being inadequate for objectively assessing the weight and value of even the most seemingly trivial feeling. Libra thus needs to learn that feelings and passions cannot be weighed and judged objectively like this, or that this weighing establishes little of significance. Concepts, ideas and thoughts can be weighed up on the scales, but personal emotions break them or just give off wacky readings. The only way to know if a feeling is really ‘from the heart’ is to embrace it wholeheartedly, like Scorpio, the sign that follows Libra, but Libra is very often afraid of losing its valued objectivity in such passion and fears losing its ability to judge correctly without the golden scales to guide it. It has too much Virgo to be Scorpio and too much Scorpio to be Virgo. As an Active sign Libra understands that the peace and tranquility it seeks is not won without some kind of action. 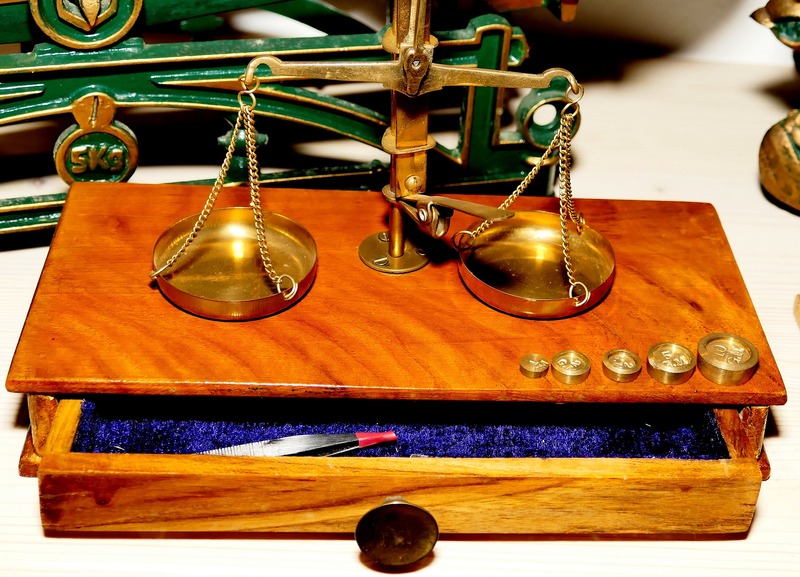 The act of balancing the scales is an act, they will not balance themselves, therefore Libra is not to be dismissed as a passive witness to events, it is a participant in the truest sense of the word since a participant is a partner in something and Libra is most definitely the partner of the zodiac. The serenity of Libra is therefore not an innate quality but one which they must tinker with. They have to constantly take into account the reactions to their actions and adjust their behaviour accordingly. They are for this reason consummate people watchers who spend much of their time studying the behaviour of other people and their reactions to events. Unlike its sibling Air sign, Gemini, Libra is not just a social butterfly flirting with one flower to the next out of curiosity (although it is subtle and graceful enough to make it appear that way), it is instead involved in activity designed to bring harmony and reconciliation where there is difference and discord. Even when it is not consciously trying to make things smoother for everyone around it, it is unconsciously doing so both internally and externally. It is exhausting and draining work, just as sparring and being combative is draining for Aries. The most tiring days are those which involve having to make lots and lots of difficult decisions involving different people, especially under pressure. For a Libran, this is like being in a war zone. In ‘The 26 Keys’ I tag Libra as a “Creative, Internalizing, Force emanating, Air, Active sign of the Astra-Mental plane”. Along with Aries it is a creative sign involving itself in acts of creation. The process with Aries is like a blastoff or an explosive burst of energy at the beginning of creation, while the process of Libra is more of an ongoing act of beautifying creation, aesthetically readjusting creative self-expression in harmony with a creative expression of others or a muse. Libra adores its muses and they love it back, rewarding it with its greatest treasure – a moment of peace. The creative impulse of Libra is deeply connected to its need for peace and serenity, because when we look upon, smell, or otherwise perceive beautiful things we feel an immediate relaxation and sense of tranquility. Libra spends a great deal of its creative energy beautifying its environment, needing clean sheets and clothes and a pleasant environment much more than other signs, and there are definitely exceptionally talented artists in the tribe. However, the primary act of creation which Libra involves itself in is the creative act of relating to others, and it is often the most draining too. It is an internalising sign (Gemini, Cancer, Libra, Scorpio, Aquarius and Pisces) because it references the external world and then makes an internal adjustment based upon what it encounters – the flow is from the external towards the internal, towards a centre of power rather than away from one. This internalizing nature is very aptly shown by the blindfold on the goddess of Justice. There are deeper layers to this internal focus however which we will come to at the end of this message. Force emanating signs (Aries, Gemini, Leo, Libra, Sagittarius and Aquarius) are involved in organizing essential meaning into manifestation as energy output rather than as a forms and structures. We can think of Force emanating signs as quantum wave states and Form building signs (the other 6) as particle states. Note that the other two Air signs are Force emanating and internalizing too, because the four Elements actually draw many of their shared qualities from these relationships (all Fire signs are externalising and Force emanating, all Water signs are internalising and Form building, all Air signs are internalising and Force emanating and all Earth signs are externalising and Form building). To my knowledge this is not something you will read about in any other astrological books of today because it is an insight that arises from the practice of magic. I will go into this in more detail later, for now it’s important to know because this is the reason why I have tagged Libra as an astra-mental sign. The Active or cardinal nature of Libra has already been discussed – peace and harmony do not just ‘happen’ but require our agency and activity, relationships being a prime example of this. The two squares from Libra to Cancer and Capricorn are actually very different. The first square that Libra throws behind itself towards Cancer is simply loaded with sensitivity and vulnerability and is prone to troubles between family and intimate partners, or to be torn between a need for privacy and a need for close company. This square plays upon the emotional nature of Libra, throwing Venus into a turmoil of worry and anxiety about the future and her ability to protect herself and/or those she loves from a turbulent and chaotic world. The other square which Libra throws forwards into Capricorn is instead loaded with responsibility and the need to keep things orderly and running smoothly. There is often an excessive emphasis on the need for wisdom which can easily become preachy or sanctimonious and supercilious. It seems more prone to produce troubles in balancing ambitions with relationships. In both types of square the natural skepticism of Capricorn or the extreme caution of Cancer act to complicate the indecisiveness of Libra to degrees where nature sometimes has to field a lot of pressure to force a choice to be made. The opposition to Aries is probably one of the easiest oppositions to understand – Aries is about doing what it wants, Libra is about doing what other people want. The tension between these two signs is ripe for creating problems and troubles when it comes to relating to other people and being ourselves. “The soul is so far from being a monad that we have not only to interpret other souls to ourself but to interpret ourself to ourself”. We’ve already touched upon some of the darkness in this sign – indecision and nervousness, difficulty asserting itself over others, haunting loneliness and a restless search for calm and peace in a turbulent and chaotic world – and in my examples at the top of this article I provided a list of some of the more destructive vices of the sign. In many ways, the problem of Libra with darkness and tragedy is that they exist – despite the signs ability to embrace polarities and equal halves the human management of the sign invariably results in a reticence and sometimes an extreme terror when it comes to facing up to negative possibilities. It’s almost as if looking ahead of itself Libra gazes upon Scorpio and recoils from the swirling darkness of Mars, while behind it Virgo is busy prognosticating everything that can and probably will go wrong. This is very often then the arena in which much of Libra’s battles to win that calm and tranquility are fought. If a Libra person can actively win through to the point where they are no longer troubled constantly by thoughts of unhappy endings to happy situations they will have made a great stride towards overcoming much of the darkness that they encounter. Reaching a place where you are able to feel calm under any circumstances is like drinking from the holy grail of life itself for this sign. Another key factor in undoing the hold of darkness over the sign is to let go – to a degree – of the impulse to micromanage the fairness and justness of events in the external world and instead look within to the equilibria that exist unending within the human awareness and to set about bringing balance there. When the individual reaches a place of balance within itself the Libra within us is that part which reaches out automatically into the world to also bring it into balance, both with us and with itself. A magician with a strong emphasis on the sign can act harmoniously with others in a way which encourages them to find their own equilibrium. She or he can bring into balance the energies of the physical, astral and mental body of other individuals or things simply through the strength of their own Elemental equilibrium. Thus, the problem solves itself by reversing the polarity from being focused on the dilemma riddled task of making adjustments on the scales to simply being the balance. Earlier I said that there is too much Scorpio in Libra for it to be Virgo, hinting that there is a sterner edge to its character, and indeed hidden within the soft velvet glove there lies an iron fist (or claw). Libra is no pushover. It may be gullible in romance, have difficulty asserting its desires over the desires of others and problems with conviction, but it is no sap. Push it far enough and it will push back, just like a seesaw. Unfairness, rudeness, inconsiderate behaviour and cheating will cause the placid, easy-going nature of Libra to evaporate in a second. They will not sit idly by and watch others be taken advantage of, mistreated or abused. Their first concern will typically be for the victim of such behaviour, but they will initially show this by countering the threat as much as they can. Direct assault is more the style of Mars in Aries, instead Libra prefers to lay down the law and when that fails to either attempt negotiation or to neutralise the danger. Neutralising things is one of Airs major tactics. Sadly, the power to neutralise things is often a negative trait – Air can dismiss serious matters with “it doesn’t matter”, “I’m not talking about that”, or just plain saying nothing when an awkward question is asked – but when used strategically the trait can be a virtuous one that neutralises danger, such as when the Libra person neutralises a domestic fight by letting someone sleep over on their sofa. 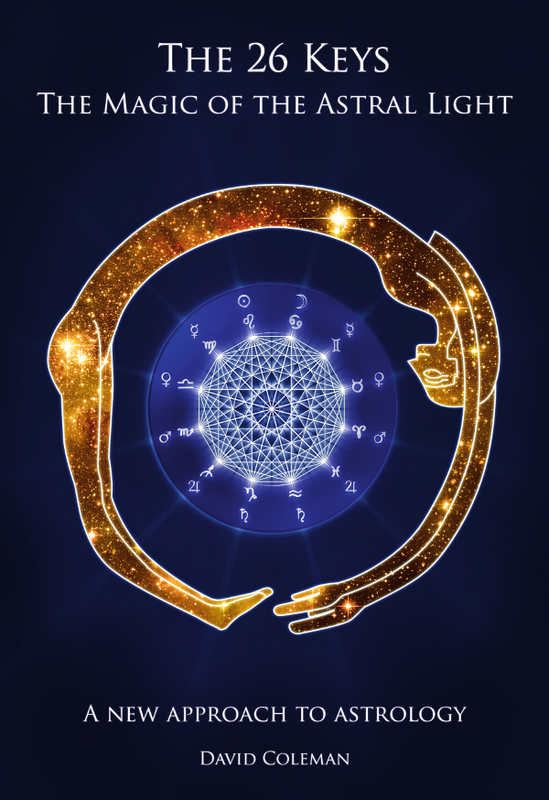 This brings up the question of timing, because it is good timing that makes neutralization strategic and helpful, and it is also the secret of good timing that can help Libra to overcome its indecisive potential. In every situation there comes a time when a choice must be made and Libra must learn to recognise when these times have come and accept them as the way to move forwards, without regrets. A verdict must be delivered before justice can be served. 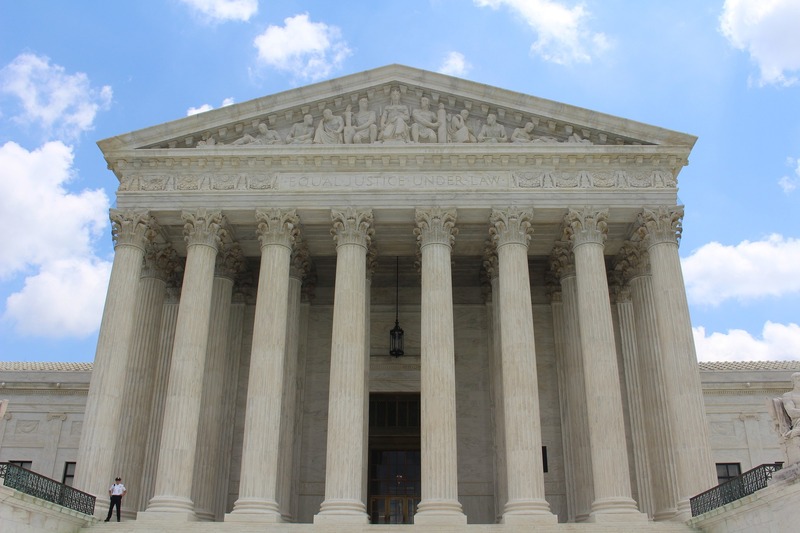 Therefore, the timing issue with Libra is to do with knowing when enough evidence has been collected in order to form that verdict. At this point, Libra must not waver. There will be time for further cogitation later, but these moments are not those times. These are the times for the sword and the quill, for the signing of contracts and the delivery of judgment. Without a verdict a trial is a torment for all concerned, thus it is an act of mercy when done correctly. To remain calm and yet to be sensitive like Libra is its own puzzling challenge. It is exhausting work because the awareness is not only vulnerable to the radiations of others (even other objects) but also has to keep a lid on its own emotional distress. Libra has to continually monitor its stresses and induce relaxation when the warning signs light up (first having learned what those are) so that a chain reaction of tension and frayed nerves does not disable it. When you consider the many other delicate balancing acts that Libra has to pull off on a daily basis – the balance between its Air and its Venus and the balance needed in various relationships that exist in any individual’s life, for example – you can begin to appreciate what Libra has to deal with. It becomes hugely important for the Libra in us to restore its equilibrium once it has been disturbed, and this is usually done by retreating to a place of peace and quiet or to a trusted significant other. Without this retreat when it becomes necessary the imbalance in one area of life can quickly cause every other area of life to go out of kilter. In some ways, the Active nature of Libra is like a toddler in a room full of spinning tops that they have to continuously pump fresh energy into in order to keep all of the tops spinning at once. When things go bad, for example when going through a rough patch in a relationship, Libra can just stop pumping all of the tops and then when they start winding down without their input they get depressed and ask themselves why they have to be the one who keeps pumping all of the tops. These are signs that the Libra person has not taken enough time out to restore their own inner balance, that motivation has been eroded by unpleasantness and disappointment. When the environment is in disharmony (i.e. when all of the tops have stopped moving) there is no beauty and therefore there is no peace or calm, so the degeneration of Libra’s motivation is a vicious cycle – the inner being of the Libra within us is linked to the harmony present in our external environment, so external disorder and discord and mess bring no internal peace. The room must be tidy before you can really relax in it. But which spinning tops to pump? That’s the nub. Does she have feelings for me? Is this relationship worth it? Will this job satisfy me? Knowing something about the answers to these questions before you start pumping on the spinning top connected to it is the key, because once started it’s hard to stop, that feels unfair to others involved. Then there is knowing when to just let the energy wind down on something and focus on something else. This too is a skill that would greatly benefit Libra in facing its darkness. All of this has to do with cultivating the discernment required to judge when, where and how to invest ones own precious energy. It is the Venus side of Libra that plays the most important part in gathering this discernment, but over time the Air contributes a great deal of insight into human nature and ones own needs that also helps to move the Libra through this area. Perhaps trickiest of all for Libra is the difficulty of living with the knowledge that truth, like beauty, seems to exist only in the eye of the beholder. What is true for me may not be true for you, and will not be true for everyone. This is a disaster to Libra because it means that objective truth is either elusive or, catastrophically worse, a non-entity. Even what might seem obvious truth to others is fraught with doubts to Libra . Sure, red is red and you and I can agree on whether or not a thing looks red. But we have no way of concretely knowing whether what you see as red is exactly the same as what I see, we just assume that. Furthermore, red can have a hugely different significance to different people. When you think about less material objects like relationships, feelings and ideas, you realize that the truth of these is even more subjective, but Libra sees that phenomena at work everywhere. When you feel that it is your task to promote fairness and equality and justice, not being able to know what the essential truth of anything is becomes a major handicap. If other peoples lives hang in the balance as a result of your decisions, that can be hell. Yet Libra will still step up to the podium and hear the arguments for and against, because it feels there is no one better suited to the task, and it is most often correct in this. Ambiguous truths, then, are a terrible bane that fuels many of the Libran quandaries and problems. In the face of it Libra largely resigns itself to the fact that there is no solution to the dilemma, and you just have to do the best you can. However, mercifully that is not all there is to do – objective truth is merely elusive not non-existent, and Venus has prepared a bridge to it in Libra. Earlier traditions (primarily the Egyptians, but basically pre-zodiac era) see the stars of Libra as a gateway to the underworld, the entrance to the mental and astral realm inhabited by the recently deceased. This is partly because the Sun passes through these stars as it approaches Antares, the heart star of Scorpius, by which point the landscape of the northern hemisphere had been touched by decay as autumn is in full swing. At least, that is the thinking today as we do not really know why the association with the underworld came to pass. Along with this came the connection to truth and justice formerly mentioned, since the soul would be judged truly and fairly. Given that Libra is awareness that all wholes are composed of complementary halves – every truth is balanced by an equal but opposite truth – there is an essential meaning of things tipping in the balance, of equilibrium and judgment following on from endings and decay, of shedding light into dark caverns and passages and of justice and fairness. We also see a theme of things being divided and weighed up. This essential meaning is the astrological root of the sign of Libra. The second and midpoint of the Air signs (as well as of the zodiac), Libra has a unique position in the wheel of the zodiac, as it has two special properties. First, as the 7th sign, Libra is the midpoint of the energy flow around the zodiac and also within the moderating Air triplicate, which puts it at the midpoint of the cycle of the zodiac, as much as the continuous infinity of a circle can be measurable; it thus marks the point of exchange between the inner ‘self focused’ first six signs to the outer ‘other self focus’ of the last six. As an example, Aries, the first sign in the natural zodiac, and Libra’s polar opposite across the wheel, is primarily concerned with personal goals and individual achievements, (I am, I will) whereas Libra is concerned with relationships of all kinds and the balancing of opinions and partnerships (We are, we shall). Libras unique function as the balancing point between the two halves of the zodiac must be understood if one is to grasp the deeper occult significance of the sign. 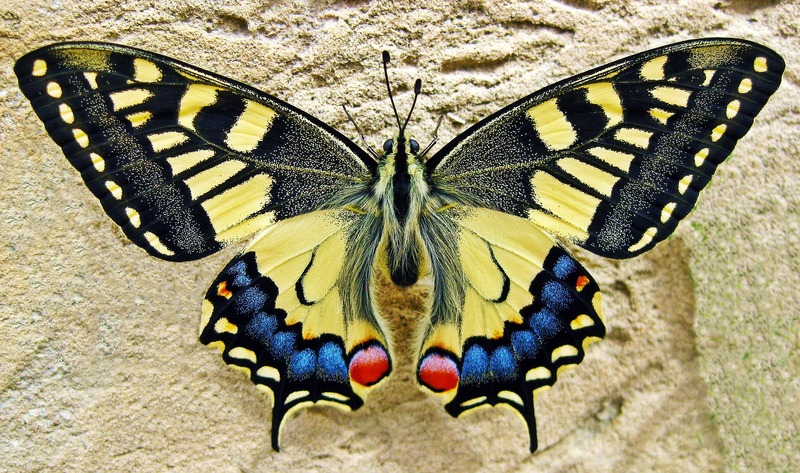 The very first Sabian symbol of 01° Libra expresses this midworld energy very strongly: “Pierced by a dart of light, a butterfly is ‘made perfect’.” Note that this is not a dead butterfly pinned into a macabre collection, it is a butterfly pierced by a dart of light that perfects. 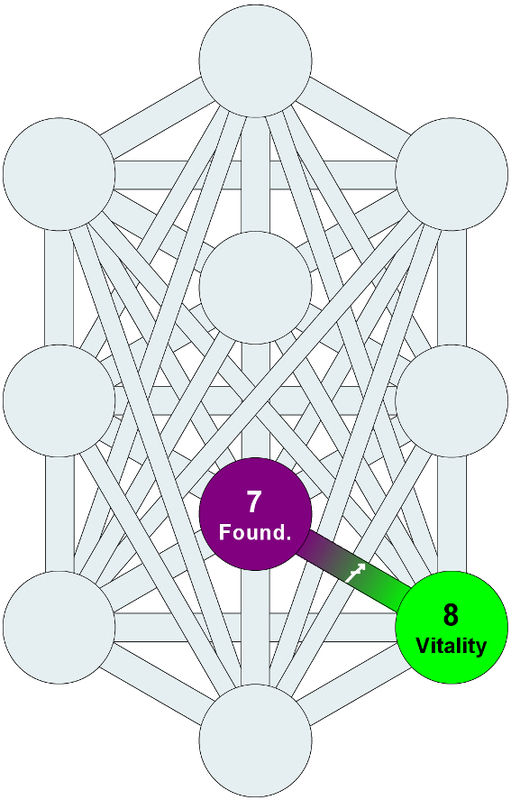 Here the Sabian oracle is hinting at a deeply esoteric and magical dimension of Libra which the Gra Tree also sheds light upon. The Air Element, being ElectroMagnetic, mediates between the extremes of the Fire (pushing apart) and Water (filling up) poles of the Creation, being the ephemeral middle ground (the space that is created by the Fire for the Water to fill), and this is embodied in its role as an equalizer or moderator by Libra. Libra is conscious of the dangers of too much and too little, and always tries to find the perfect balance. Libra tries to mediate between opposites and bring them into harmony, being motivated by a feeling that fairness and equanimity are important, and does this excellently in the human social sphere for example when diplomatically defusing a tense argument, but Libra does not do so well when it comes to weighing up and evaluating ideas or in decision making, because it tends to get hung up on endless evaluation seeking the ‘middle ground’. In terms of a firm decision and generally as a concept, ‘middle ground’ is nebulous and has no precise boundaries (like Air). Libras connection to this Air leads to a perception of basic polarities in the universe – men/women, good/bad, fair/unfair, you/me, us/them – and the guidance of ruling planet Venus leads to an effort to smooth over the differences implicit in these polarities and consequently to an approach that is always trying to find the perfect balance and peace between them. However, there is no point at which this process comes to rest, it is a butterfly, a perpetually moving and infinitely creative balance, not a static one that can be reasoned out or measured, but one which requires an emotional, feeling based approach. As I have said earlier this is the source of a large part of Libra people’s dilemmas. They try to reason out the answer to dilemmas and choices, the most fair and harmonious and balanced response, when they should really just trust the feeling of fairness that guides them, the dart of light, and go with it. This is often manifest in situations which challenge Libran senses of fairness, justice and equality and is the source of the uncertainty and doubt and indecisiveness that can plague them. Libra is conscious of the polarity existing in all things and seeks to balance and equalize it. This leads to a quest for fairness and skill with diplomacy, as well as giving them a strong moral sense of justice and the importance of truth telling. Further clues to these mysteries of Libra are found in an exploration of Libras second unique property in the zodiac – its inanimate nature. Of all the signs (which are centres of living meaning focused as symbols which show their essential qualities), Libra is the only one represented by an inanimate object – a pair of balancing scales. The others are all living, breathing beings. It lies opposite the most active and energized sign, Aries. Here is hinted at some secret detached objectivity within (or aspired to) by the sign itself, as if it is the only one capable of impartially weighing up the living animal-emotional matters of the others, which goes some way to explain why Libra involves itself so frequently and sincerely in the affairs of companions. The search for this ultimate objectivity, the ability to perfectly and precisely weigh things up, without personal emotional or mental bias tipping the scales, is a part of the secret heart of Libra intelligence. It knows itself to be tactful, impartial, cooperative and considerate of others and is offended when others suggest otherwise. The butterfly may well be Libras secret animal, but the plethora of inanimate objects associated with Libra point to a deeper truth hidden beneath them. It is perhaps Libra’s ultimate gift. When we look upon these objects – the golden scales, the soft feather, the shining sword with emerald hilt, the blindfold and the mirror, the interlinked rings inscribed with a promise – they have no mouths but they speak to us, do they not? They are symbols of things which live in their inanimate nature. The rock, the sky, the violin, the book, the tree, the pen, the thing – it’s all alive. The magician knows this, and so does Libra. Objects may not be animals in the sense that you and I and the monkeys are, but they are still animated by an inner Light and are aware of their own existence. When you can treat all things as equally alive, then and only then have you entered the heart of Libra. Within this sacred chamber of awareness, we can look out upon the gyrating and ever-changing universe as our co-creative partner and all things we perceive become inseparable and equal parts of our own being. As the magician develops and grows she or he learns how to adapt to changing circumstances and what results is a continual flow of magic between them and everything that they interact with, not just in their human relationships but in their relationship to all things. To some degree, I believe that the Libra in us comes prepared to meet this reality altering truth. I think it’s the real reason that Libran people get upset when other people smash things against walls in frustration. Karmically, Libra is about all forms of opposite number, so its fundamentally about the choices we have made in relationships and often embodies as ones enemies, opposite numbers of all kinds, lovers and partners from previous lives, relationships which need balancing, and the search for justice and equality in some area – encounters which lead to atonement (at-one-ment) with the principles of peaceful emotional accord, balance, and individual beauty. In all areas of life but especially in relationships Libra is learning to assert its instinctual emotional nature by expressing its individual consciousness and bringing it to life by shining its individual will through it. The sign is a process of transforming our emotional nature through bringing peace to it and reflecting this serenity in our relationships, and in this way with every new person we meet we are continually learning about how to be at peace with ourselves through our interactions with others and learning about ideas by weighing them against their opposite. As the astral principle of karmic balance, universal Justice and Harmony, the forces which automatically adjust and maintain equilibrium throughout the multiverse, Libra has its hands full on Earth right now. The relationship between self and other is one of the human manifestations of these balancing laws in action, for none of us can escape the truth that we are all interconnected as one, and therefore what is done to you or by you is done to us all and resonates throughout the multiverse. What we see in one another is first perceived within us, or we could not recognize it. 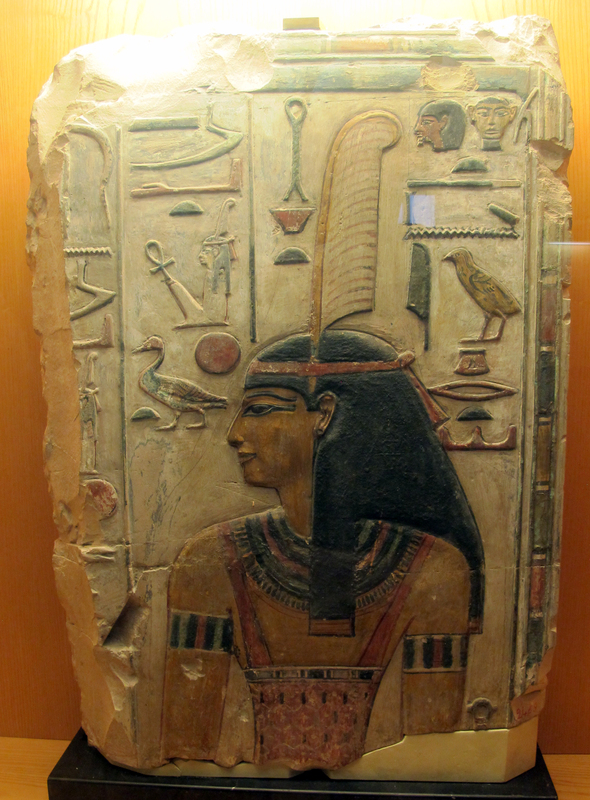 The Scales of Maat of Egyptian temple lore are the scales that weighed the hearts of the Egyptian dead against a feather, an act which either released the enlightened soul to the freedom of the cosmic heavens or stripped it of all unnecessary weights before reincarnating the soul in a new body on Earth. This is symbolic of the weighing and eventual equalisation of the souls’ mental and emotional qualities as the spirit refines what is inharmonious and unjust (in other words, what is not expressive of its Light) until it reaches a point of balance with the cosmic order. Unfortunately, once struck, such balance is rarely maintained for long for balance is not the same as equilibrium, being a see-saw which can easily be acted upon at any point at which point the balance will be lost. Equilibrium, on the other hand, resists such influence because it is present at every point along the scale, rather than just struck at a midpoint between two ends. Thus, in essence Libras mission is not just to balance and equalise but to move beyond such temporary states of balance into a state of equilibrium by living in greater emotional harmony with the universe, i.e. with the inner and outer self. That is why it is so important for Libra people to listen to their feelings. 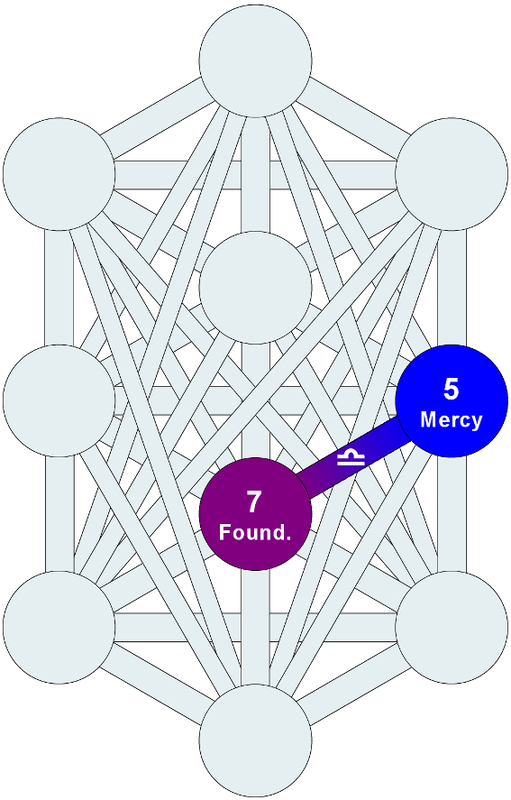 On the Gra Tree, Libra is shown positioned as a path emanating down from Gedulah (Mercy) to Yesod (Foundation). This shows its origin in the forces of the mental plane (Gedulah) and its destination in the heart or core of the astral plane (Yesod). In other words it is one of the influx of energies that power the astral realm. The particular influx of energy that Libra brings to the astral plane stems from the property of the mental plane which causes things to be like one another or similar to one another and to thereby find a connection (Gedulah), and so what it brings to the seat of the astral awareness (this being the heart of the soul in terms of an individual, or the entire astral realm in a universal sense) is a sense of mercy or compassion, because that which we find connection to and a sense of similarity with evokes empathic responses in us. On a universal level this influx of Libra into the astral plane holds the entire astral realm in equilibrium, one action always leading to an equal and opposite reaction on an infinite scale. At the collective and individual human level this influx of empathy from the mental realm is hugely significant because the astral realm is dominated by polarizing personal concerns. Furthermore, we can understand this matter more deeply by considering the influx of Leo into Gedulah from Tiphareth and the emanation of Sagittarius from Yesod to Netzach. From the Leo path the Light of the individual Self (the radiance of our spirit, the force of our unique being) is radiated outward to find connection and similarity with other individual selves. 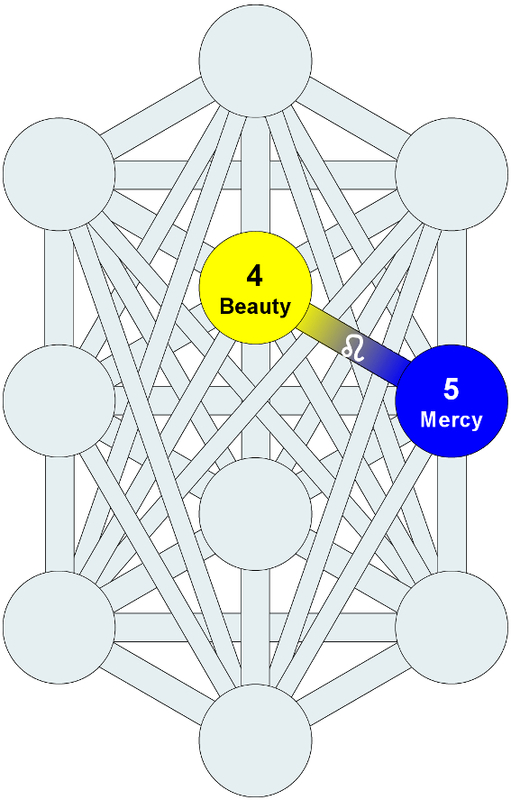 In other words, the shining of the individual self illuminates the connectivity of that self to other selves, forming Gedulah, which in turn transmits this Light to Yesod (the personal self) via Libra (the ‘dart of light’). In this first arc the Light of the individual self is transmitted to the personal self and so the task of the personal self is to receive that instruction (’Ox-goad’) and adapt its personal expression to that teaching or goading. The result of this is then radiated ‘down’ towards Netzach via Sagittarius, and so the second arc sees the Light that has been adapted to reflect the individuals merciful nature in the astral realm being cast throughout the astral. For any practicing magician of IiH, there are clear parallels with the practice of maintaining the Elemental equilibrium, the source of all true magic. Note that both Leo and Sagittarius are in sextile to Libra astrologically. The magic of Libra is often said to be in forming lasting bonds or breaking couplings, hence to binding, to bringing about a swift and fair verdict in a trial or court of law, to reconcile or to dispense diplomacy, to calm things down or to contact artistic muses, but in essence what we encounter in the magic of Libra is a communication from the spirit to the soul about how to live in harmony with other beings. Libra is equilibrium through the shaping of the individuality of the soul by its harmonics and commonalities. 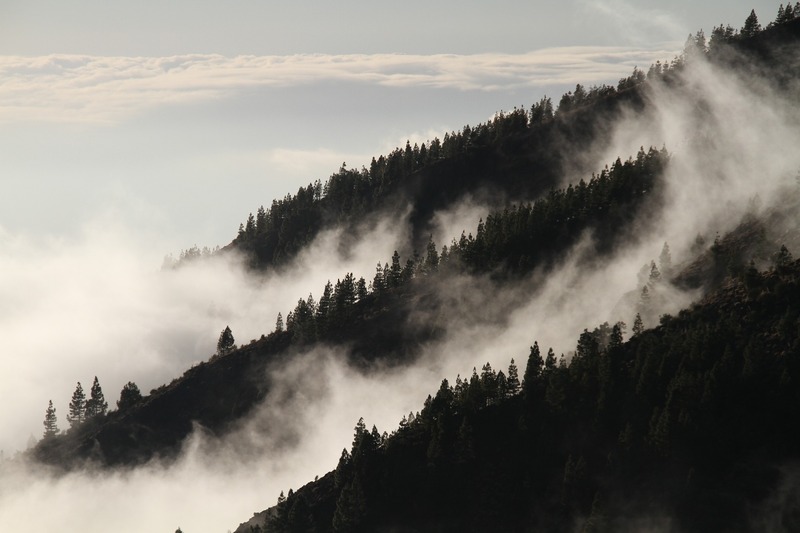 When we wander up this path the astral awareness loses its sense of personal isolation and begins to perceive its deep and majestic connection to all that is, while returning the other way brings an acute awareness of the importance of that connection in our personal expression. This is the heart of the magic of Libra and justice, art, partnership, equilibrium and peace are its children. The Libra in us is that which Ma’at has placed in our breasts to lead us there, an inner eye which recognizes the objective truth within itself and so within all things. I’ve also expirienced the “mirroring-aspect” in quite profound ways. Situations, relationships… telling/showing me how I actually feel about things. It took me long to realize that I seek the other in order to understand where I stand. Once in relationship/contact it’s way easier to discern what is true/false or right/wrong, when left alone it becomes blurry again. Yes, great point, thats the ‘fall’ of the solar principle in Libra – its nature is to relate its nature to others. This is not the conventional way of being natural, and thats what poor dignity describes, an unconventional way. I try to put enough on the table each month to make it worthwhile to come back for seconds, glad you did! I found this very helpful for understanding and getting to the heart of what makes the creative process that is going on inside of me tick. You mention that Libra is analogous to the alchemical process of sublimation, and this strikes me more now that I am revisiting this post. I think I have noticed a sort of sublimation process (maybe?) going on in my consciousness that seems very Libra like – first perceiving a certain balance in the things I relate to, a certain ‘just-rightness’ about them. There is a certain thread of commonality between these different things, something which makes them related, and I feel the voice of my muse speaking through my relation to these things, pointing out certain common qualities that I relate to in them. And when I internalize these things they go through a sublimation process in my consciousness (the vessel, I suppose) where I try to take the essence of what made them seem ‘just right’ to me. I then try to express these perceptions by creating my own unique balance of all of them – this is the adjusting and readjusting, the activity of balancing things in relation to other things. I can see the whole process a bit better now, one part more perceptual and internalizing and mental which leads seamlessly into the other part which is more astral Air in nature which tries to express my resonances by bringing them into some unique balance. And this astral part definitely seems motivated largely by a sense of seeking peace, harmony, tranquility, almost a sort of ‘stillness in motion’ or a continuously enacted balance, and this makes you feel freedom even if just temporarily. It helps to understand that this is going on within me because it helps to put me in tune with how I am trying to express myself, with what this relating and ‘balance perceiving’ process really wants to do. Sometimes I can just get lost comparing things or stuck in the process of merely relating to them, and this shows a bigger picture of what I am trying to do by this relating, and gives a proactive approach of expressing yourself through these relations and commonalities. It says that there is something to be done with them and that it is a way to learn to express your Individuality. I’ll say though that, even though I actually love this Libra process, I sometimes feel strange about needing this contact and relating process in order to know myself or express myself, that I somehow require it, and that I don’t just produce things from within myself the way it seems to me that others can do. Perhaps when Libra goes deep enough into themselves they find something like this also, perhaps this sort of more ‘unreferenced’ Individuality eventually emerges or finds itself through the relating and balancing process. It makes me wonder what I am without it, and what I would have to offer without it. Another commenter said it very well, about things becoming ‘blurry’ again when left alone. oh gosh i was caught up in stuff and did not get to reply to this, please forgive my tardiness! Your first paragraph is a beautiful description of just what I am getting at with that alchemical analogy, yes. In alchemy, the process of sublimation bypasses a liquid state, moving the substance directly from a solid state to a gaseous one. This is the key that makes this process a Libran one. 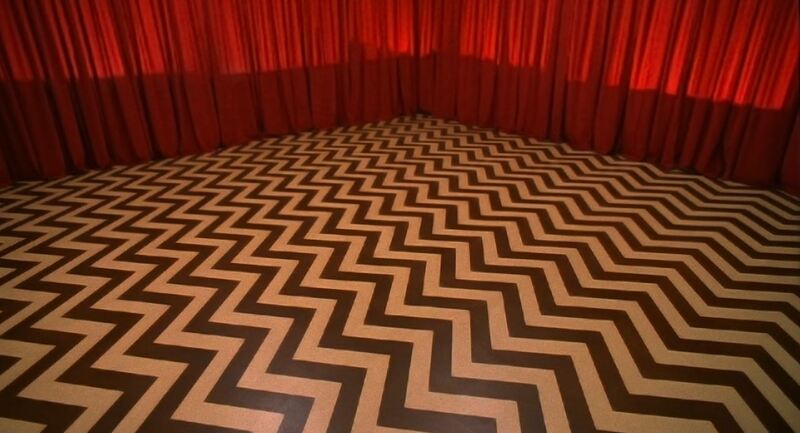 It bypasses the emotional subjectivity of awareness and moves directly to a more ephemeral and essential state, a vaporous state which hovers. “I don’t just produce things from within myself the way it seems to me that others can do”. I think you do produce things independent of others, but then what you do with that is calibrate it to be more acceptable to others. When alone, the blur happens as a result of having an insecure awareness of 2 things – a) what is acceptable to you b) why that is good enough.